Treat your pet well at the holidays – know which people food is good and which is bad! Alcohol – Duh. This can cause all sorts of problems from vomiting to difficulty breathing, and even death! It’s not funny to get the dog drunk. Avocado – Is more dangerous for for small pets, birds and animals like horses and sheep. Still, it’s probably not the best for your cat or dog either. Chocolate – we all know chocolate is bad for pets. It, along with coffee and caffeine, contains methylxanthine. This causes all kinds of problems and sickness for your canine. Just say NO to chocolate cookies for the dog. Citrus – Citric acid can cause irritation to your pet’s central nervous system and digestive system. Coconut or Coconut Oil – Small amounts are probably ok, but it can cause digestive problems and diarrhea. Why risk it? Grapes and Raisins – you know these are toxic to your pet. They can cause kidney failure and are best avoided at all costs. Macadamia Nuts (or any other nut for that matter) – can cause weakness, depression and even hyperthermia in dogs. Other nuts can cause vomiting and diarrhea. Onions, Garlic, Chives – Cats are more prone to this than dogs, but it’s better to err on the side of caution. These cause digestive irritation and can cause damage to red blood cells. Raw or uncooked meat, eggs or bones – These can contain E coli which is dangerous to humans and pets. Bones are never a good idea because your pet can choke on them, or they can splinter and cause injury to your pet’s digestive tract. Salty foods like potato chips – Too much salt causes excessive thirst and can lead to sodium ion poisoning. Xylitol – That fake sugar stuff that’s in everything from candy to toothpaste, can lead to liver failure due to an increase in insulin production. Yeast Dough – You’ve all heard the story about the dog who ate the yeast rolls…don’t let this happen to your pet! Too much yeast can bloat and swell your dog’s stomach, which could cause it to twist. The best choices for your pet are natural, unflavored and unseasoned products like pumpkin, carrots, and plain baked chicken. Actually, the best choices are treats made specifically for your pet! Come in and see us and find just the right treat for your cat, dog, fish, bird, gerbil, hamster, guinea pig, lizard, snake or any other pet you’ve got! Every year, October 1st marks the start of National Walk Your Dog Week, a pet holiday week meant to spread awareness of the health benefits of getting out and going on a walk with your dog. And health benefits are abound, not only in burned calories and steps taken. Walking your dog is probably one of the healthiest things you can do for both your and your pooch’s health. This is the most obvious benefit of the walk. Walking not only gets your pooch’s blood flowing, the heart pumping and the calories burning, but also can aid in getting the digestive system moving—great if your dog’s been experiencing any, ahem, digestive backup (this is NOT a time to forget your waste bags!). However, if your dog is prone to hip or joint problems, you might want to look into a hip + joint supplement to promote cartilage growth and joint mobility. The holidays are right around the corner, and that means many of you will be packing up your pets to head over the river and through the woods. More people than ever are reportedly planning pet friendly vacations, and that means a little extra planning to make sure your trip gets off on the right paw. Here are a few tips to make sure your next adventure is a success. soft side crates from Hagen, wire cages from Petmate – both single door & double door – all sizes on all crates & all are collapsible & easy to store! The Hagen soft side crates even come with their own carrying case. suv. Stop in today and let us help you plan the perfect holiday trip with your pet! 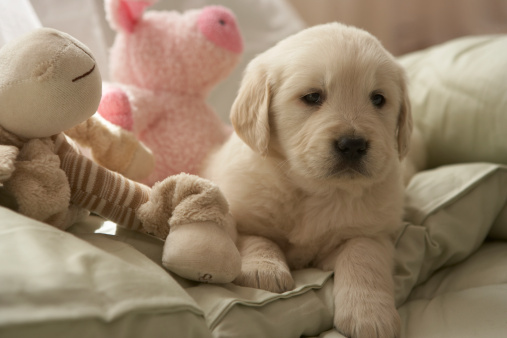 With the holidays approaching we’re sure some of you are planning to end the season with a new puppy. 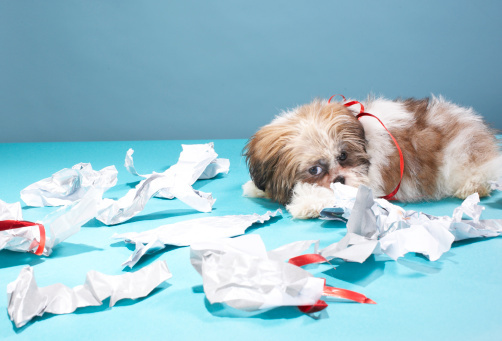 Puppies are so much fun to have around, but they also require much work and training. Paying attention to the needs of your puppy will ensure a happy and healthy pet and pet-human relationship for you and your family. 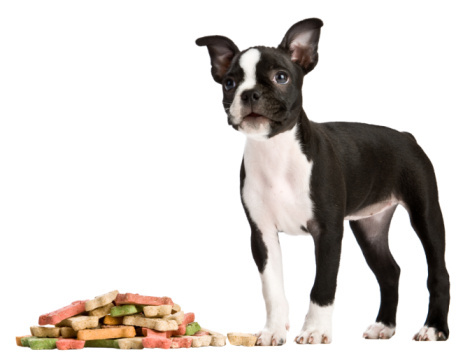 Puppies need smaller kibble pieces to help with chewing since their teeth are much smaller than adult dogs. We stock the Nutro brand which offers three different types of food specifically designed for puppies. The Wholesome Essentials Puppy food contains chicken with amino acids for building muscles for puppies. Nutro also offers Limited Ingredient Diet Puppy Food with Australian and New Zealand lamb. It helps puppies get the optimal nutrition they need without added ingredients that could cause digestive problems. Nutro goes further into specifics with Small Breed Puppy Food, a formula that caters to small breeds with a higher metabolism. Small breed puppies have higher requirements for energy than puppies of larger breeds. We also carry Bell Bowls and products by Loving Pets which can prepare pet owners for the inevitable floor food pile. Bella mats prevent splashes and retain spills with raised edges and anti-skid feet. The mats come in both tan and black and features a stylish bone shape. Training is very important for puppy care. When bringing a new puppy home, accidents are bound to happen until puppies can build up a routine. Nature’s Miracle offers training pads to help combat problems. The Flowering Meadow Scent Release Dog and Puppy Training Pads are disposable pads that feature a scented attractant to let puppies know they have found the right place to relieve themselves. Moisture-activated fragrance can also help keep a new puppy home smelling fresh. The pads also come in Tropical scent as well. You can find Nature’s Miracle products right here at J&M Aquatics and Pet Center. Chew toys are important for all stages of a dog’s life. A puppy has brand new teeth that require softer material to help aid in the development of strong and healthy teeth. Chomper has a great line of puppy toys that are interactive and will allow for bonding time with you as well as keeping your pets from being bored. Merrick treats, like their Jerky Chip treats, are great for dogs of all ages and provide them with proteins and healthy fats in a great, all-natural and holistic treat. Puppies have developing coats. Therefore, their skin can be a little sensitive so it is best to use milder shampoos for baths. Earthbath Puppy Shampoo is naturally tearless and pH-balanced for puppies’ sensitive skin. Its ingredients include natural cleansers, aloe vera and a dash of cherry essence. Find all of these great products and MUCH MORE for your puppy at J&M Aquatics and Pet Center. Even the best dog trainers don’t start out with perfect pets. Training a dog takes time and effort and with the four items mentioned below, sometimes it even takes extra equipment! First, if your dog is snooping in the garbage or getting into rooms he shouldn’t be in, there are a few possible easy fixes. Try using a gate to keep the dog out of “off limits” rooms. Try moving the trash can to a harder-to-reach place like under the sink or in a pantry closet with a secure door. If neither of those options works, you can try an indoor pet barrier system. These emit loud tones and static charge when a dog enters an area he or she shouldn’t be in. The collars are gentle enough not to punish, but to correct wrong behaviors. Try using a loud sound or physical distraction to take your dog’s focus away from what’s causing him or her to bark. Use a calm tone (yelling will make him bark more!) and, if necessary, create a wall with your body between your dog and the object of his or her barking. You may also consider the possibility that the dog is barking because he or she has pent-up energy. Is the dog getting enough exercise and attention? Increasing these could decrease annoying barking. Third, maybe your dog’s problems are in the yard. Does your dog escape a lot? Is he or she a digger? If your dog is able to easily escape from your current wooden or chain-link fencing system, consider a buried or wireless fence. These fences come with correction collars. If the dog gets close to the edge of the yard, there are several levels of correction plus a “tone only” mode which will help your dog learn his or her boundaries. 1. Create a “digging allowed here” zone for your dog. Maybe digging is just a way your dog entertains himself. If you don’t want him digging up your flowers, introduce him to a corner of the yard that he can dig in. 2. Consider that your dog needs more attention and exercise. Perhaps he’s only digging because he’s bored. Finally, let’s discuss bad behavior when you’re out for a walk. When training your dog to walk on a leash, make sure to walk in front of him. This shows your dog that you are the leader, not him. Use a short leash so that you have more control and make sure to reward your dog for good behavior with some of his or her favorite treats or a romp in the dog pond. Make sure, too, that you’ve planned enough time for the walk. Dogs are interested in lots of things and love to sniff, wander and enjoy their walk time. If you rush them, they may rebel or begin to act out on these walks. If you’re out hiking and would prefer to have your dog off-leash, make sure to have treats handy. I find that with my friend’s beagle, if he knows you have food he’ll always come back. Still, if your dog is easily distracted by rabbits or other critters, consider a remote training collar. You can choose from several corrective levels or a tone-only level and it will work for up to 100 yards. 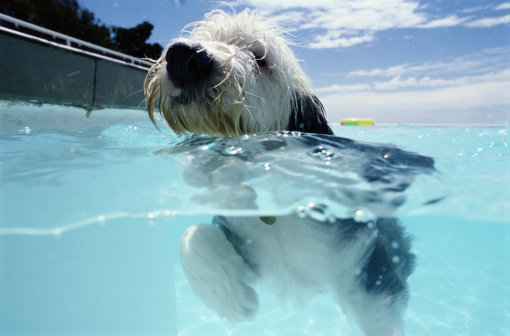 Stop in to J&M Aquatics and Pet Center today and let us help you find the right training products for your pet! Is there an odd odor around your dog’s ears? Is he or she pawing at them more than usual? You may be looking at a dog with an ear infection. Ear infections occur because of an overgrowth of bacteria or yeast in the ears. This is more common with dogs with floppy ears, dogs who swim, and dogs with allergies. How can you make sure your dog’s ears stay clean and free of mites and bacterial overgrowth? You could try using a cleansing wipe. These are available and could be a good solution if your dog is ok with you messing with his ears. For other dogs, sometimes the best way to stop an infection is with a solution or liquid product like Ark Natural’s Ears All Right. It’s an all-natural cleaning lotion made with premium botanicals. It helps to breakdown and remove wax, dirt and debris. It also reduces inflammation and irritation and treats ear mites. Some say that nutrition can play a role in improving your dog’s overall health, including that of his or her ears. Whether or not premium dog food leads to better ear health is debatable, but we all know that feeding a dog a premium all-natural diet will make them healthier overall. Stop in to J&M Aquatics and Pet Center today to find Ark Natural’s products and premium pet foods! 2851 North Avenue, Grand Junction, CO. Ever save that piece of fat from a steak for your favorite pet? I bet you’re thinking that no harm can come from the occasional table scrap, right? Well…don’t be so sure. According to a recent article by Drs. Foster & Smith, there are several reasons why actual dog treats are much better for your pet than table scraps. First, you can end up creating a beggar with table scraps. As soon as your pet knows you might be willing to give them a little treat from the table there they’ll be: sitting and staring at you with those cute little eyes, just waiting for a treat. While you may be ok with that, your friends may not! Next, table scraps don’t have nearly the nutritional value that true dog treats do. They’re lacking vitamins and minerals necessary for your dog’s diet. The empty calories provided by table scraps lead to weight gain; weight gain can lead to lots of other health problems for your pet. If those reasons aren’t enough, feeding your pet table scraps can cause all sorts of digestive disorders. From bad gas to bad breath and more, table scraps just don’t work well with your pet’s digestive system. They need a simple, stable diet that includes treats specific to them. Finally, using table scraps to reward or treat your dog can lead to a picky eater and even a thief! Pets will start to choose those scraps over their own food and will eventually steal food from the table or knock over trash cans to get at tasty leftovers. Click here to see what treats we have on sale! Instead, stick with great treats like those available at J&M Aquatics and Pet Center! These treats are more nutritious, have fewer calories and are great for your dog’s teeth. They also help to fight off boredom and your dog’s urge to chew.